We have been in full television mode at Cookbook Of The Day, so we felt a television themed Famous Food Friday was in order. One just never knows who is out there getting a cookbook published but it seems if you are a bona fide television personality it is easier. In the dark ages of the late 1980’s, before you were all born, the “Celebrity” chef was a rare thing. Food Network was not being streamed into every family room/kitchen (Because there was just the kitchen and the dining room! ), so cooking fell to actual celebrities. 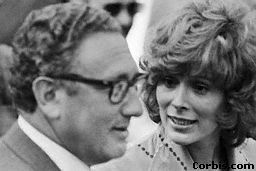 Case in point, Jill St. John. During the 1970’s and 80’s Jill got around. The former Bond Girl dated Frank Sinatra, Henry Kissinger, Sean Connery, Peter Lawford, and Robert Wagner who became her fourth husband. She parlayed her cooking enthusiasm into a monthly cooking spots on Good Morning America and became a food editor for USA Weekend Sunday magazine. Who knew? 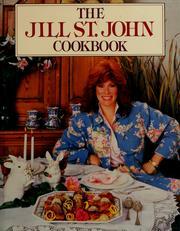 Many of these famous food cookbooks are simply afterthoughts from publicists, The Jill St. John Cookbook is quite polished. I must say I was quite surprised by Miss St. John’s culinary skills. We have laughed before about the decidedly twee farm-to-table cookbooks, so it was interesting to find that Jill St. John was a big advocate of growing your own herbs and eating locally. Seriously, every recipe out there belonged to some before you! Don’t kid yourself. Here is Jill’s recipe for shrimp with a kick. Notice she was “Cajun” before Cajun was cool! She suggests putting out finger bowls if you serve these – how very 80’s. With a small, sharp pair of scissors, cut through the shells of the shrimp from top to tail. Do not cut the tail. Devein the shrimp but leave them in their shells. In a bowl, mix together all the ingredients except the lemon slices. Cover the bottom of a 13 X 9-inch glass baking dish with a little of this mixture. Arrange the shrimp and the lemon slices in layers in the dish, stopping about 1 inch from the top. Pour the remainder of the butter sauce over. Bake turning the shrimp once or twice, until they are cooked through, about 15 to 20 minutes. Evidently, Jill is still cooking up a storm or to be more precise, Rigatoni with Vodka Sauce for Valentine’s Day, 2010.